Please remember NO JEWELRY or NAIL POLISH for dress rehearsals, picture day or show day. (Exception: Mini, Apprentice, Juniors & Seniors wear rhinestone stud earrings). Double check that you have all the proper shoes & tights. Everything should be LABELED with students name and be clean. Bring all costumes and any additional pieces to be put on at the studio (do not wear in the car). Please understand that any students that do not have the proper shoes and tights will not be able to be photographed. Hair needs to be in a slick back show day bun with bobby pins and a hair net that matches hair color (bring extra bobby pins). Parents must stay with your child for pictures (except Junior and Senior Company). For Hair and Make-up Video Tutorials, visit our Facebook page (Astrid Audet Dance) or our YouTube channel (Astrid Audet Academy of Ballet Recital Hair and Make Up). See links to these videos below. 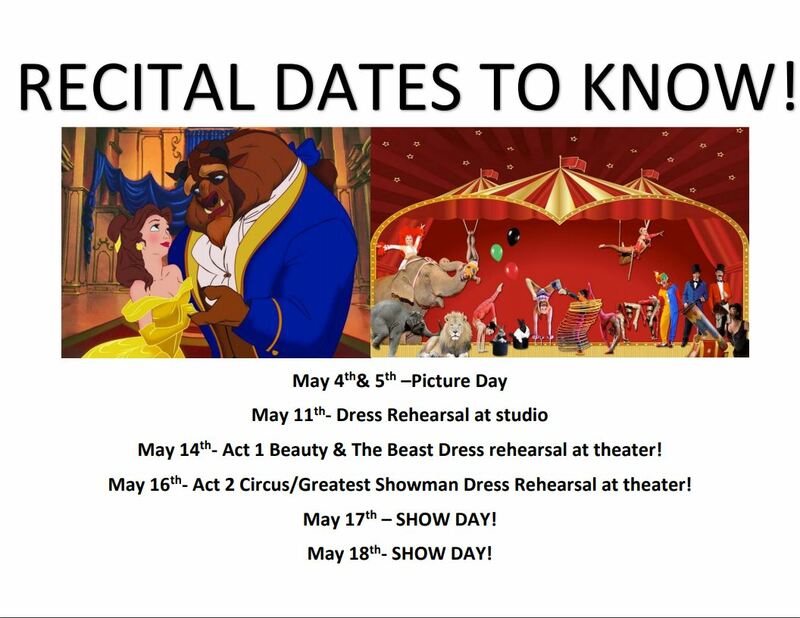 We are also looking for recital, and picture day volunteers! · Ticket sales will begin April 13th at 12:00 noon. You must have our promo code to purchase your tickets. · This code will emailed to you beginning April 10th. All account balances must be paid to receive your code. No ticket can be purchased without a code. 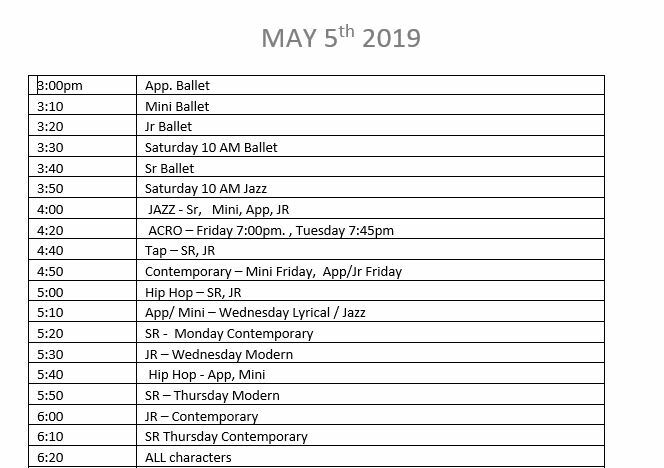 · Beginning April 13th at 12:00 noon you may purchase your tickets online (AAABallet.com -Recital 2019 HQ tab); at Lauderhill Performing Arts Center; or over the phone (954)777-2057. · Each family must purchase a minimum of 5 dance recital tickets. You may purchase as many above the 5 you would like. 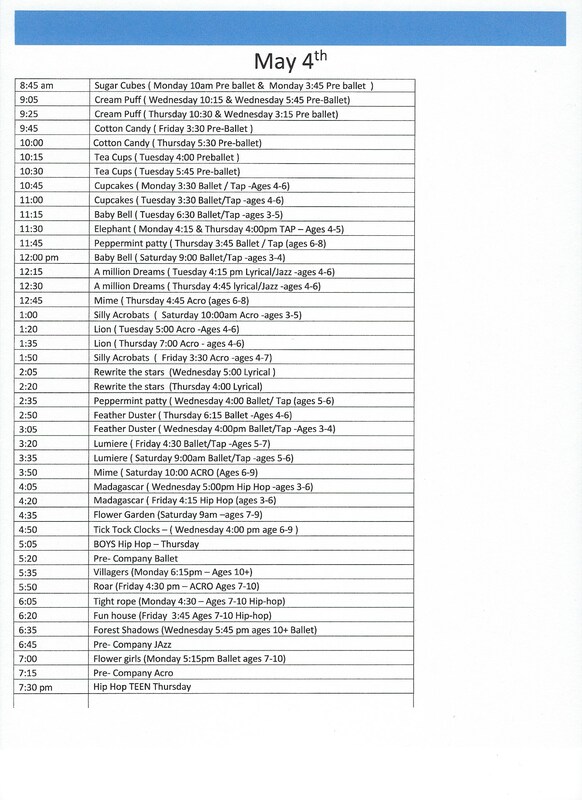 · Your tickets can be spread out between shows and between price points.